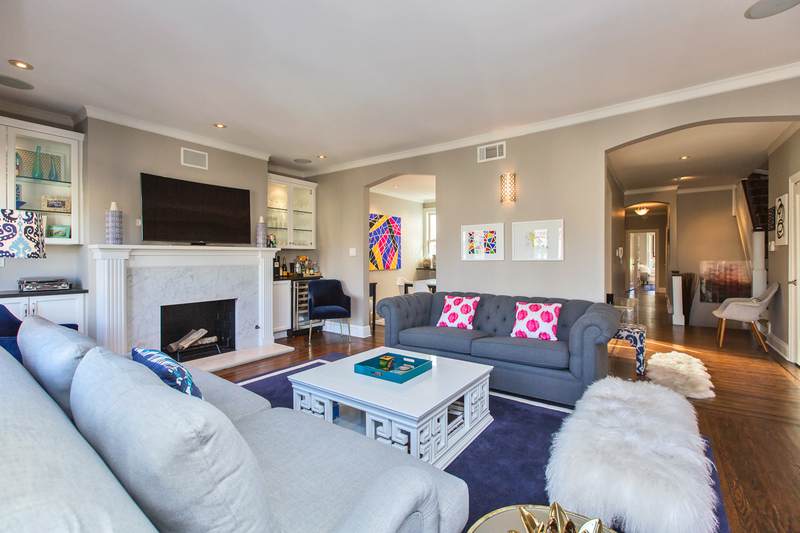 Beautifully renovated 2-level upper condominium with contemporary designer finishes and classic lines. 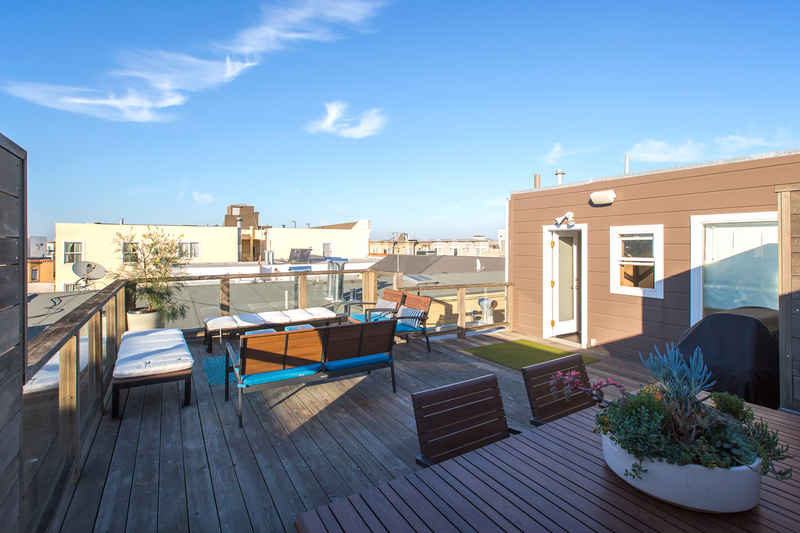 Roof deck with partial City and Golden Gate Bridge Views. 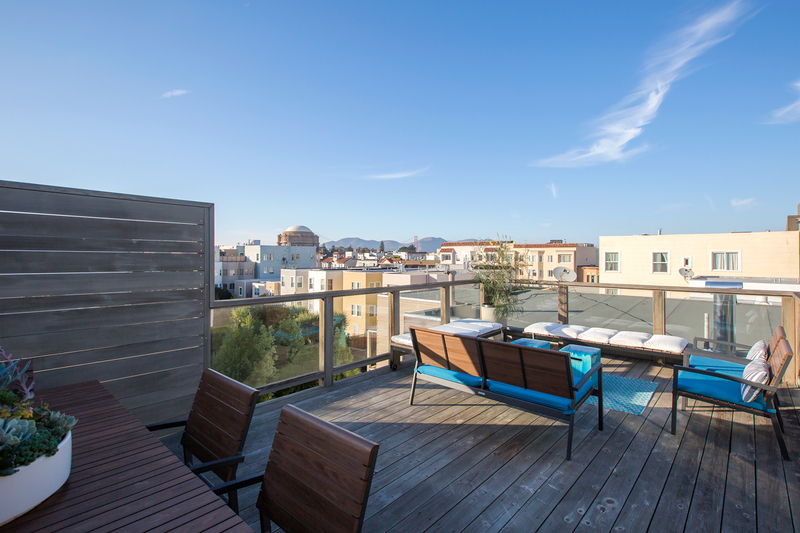 Beautifully renovated 2-level condominium with 3BR, 2BA, 2 car parking and roof deck. 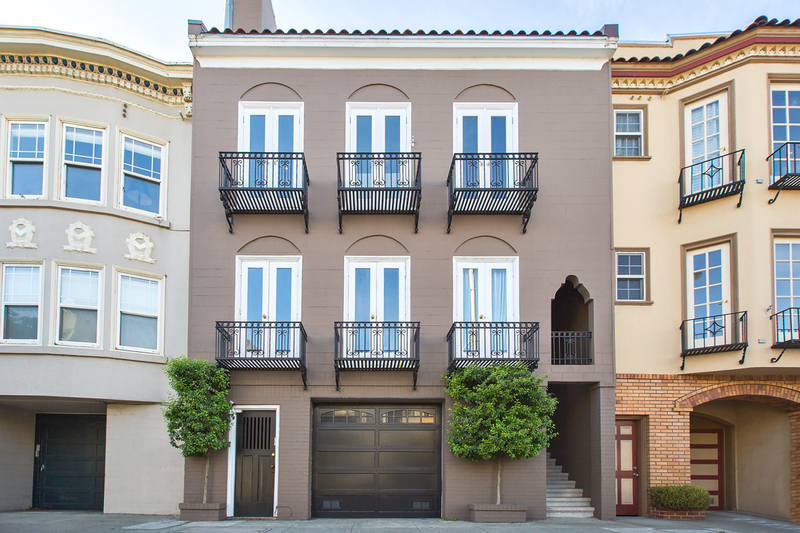 This is the upper residence in a 2-condominium building. 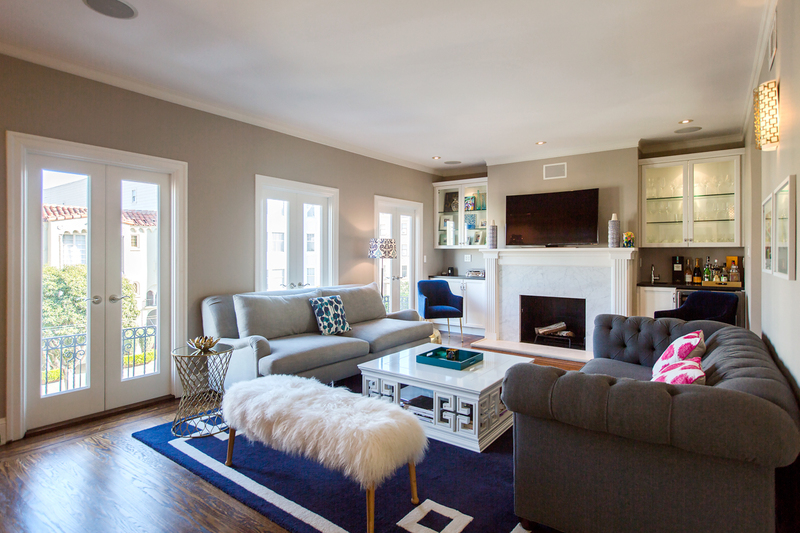 The classic living room with fireplace enjoys a wall of east-facing French doors with balconies. 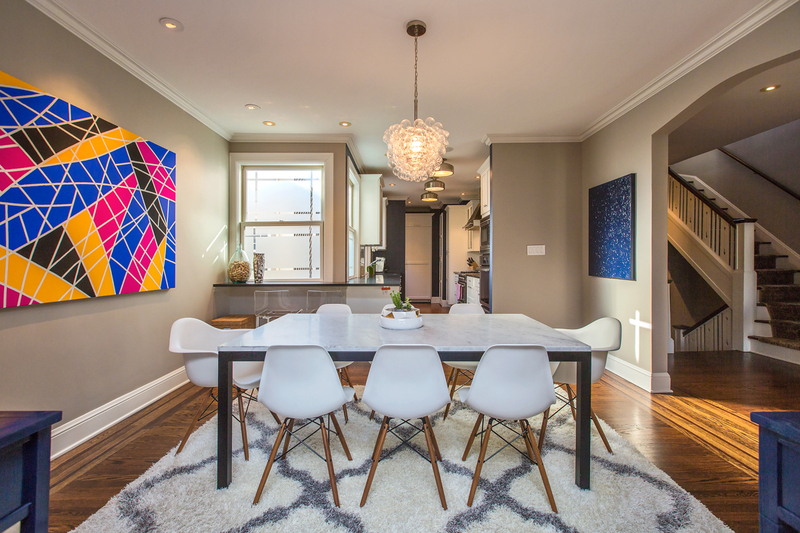 The dining room is open to chef's kitchen with the best of everything, including exceptional Bertazzoni gas stove with pot filler above, additional ovens and double refrigerator. 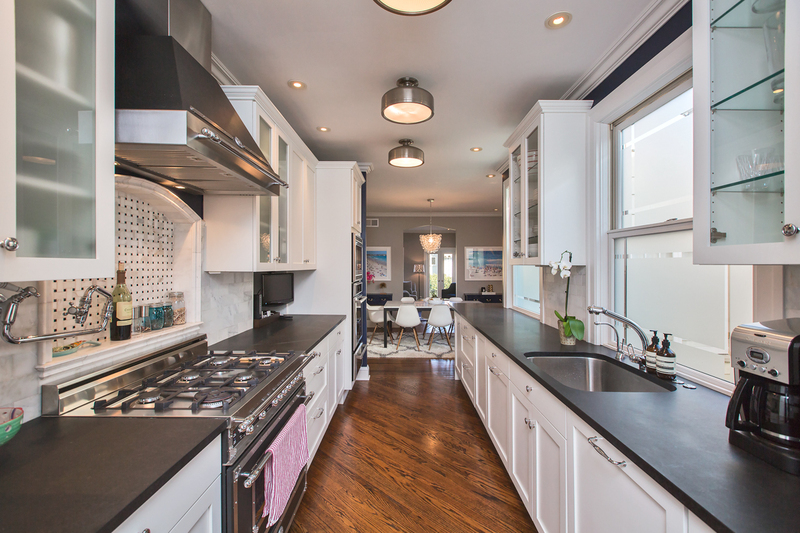 The marble mosaic back splash combines with marble subway tiles to beautifully compliment the honed black granite kitchen counters that wrap around into the dining room. 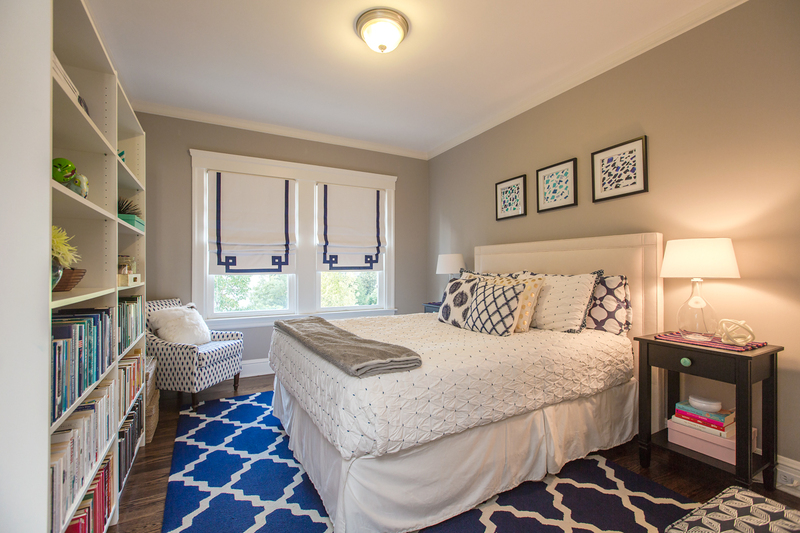 Contemporary light fixtures, recessed lighting and walnut-stained hardwood floors are found throughout this level. 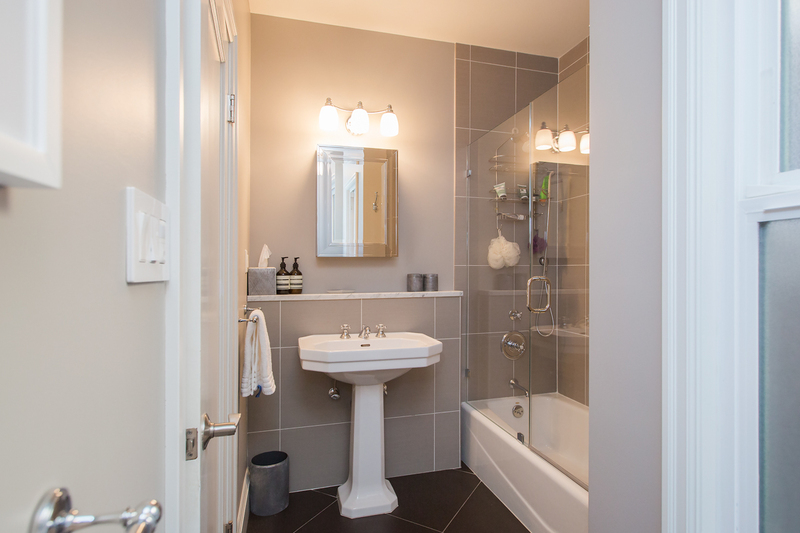 Two bedrooms, laundry closet, and hall bath complete the main level. 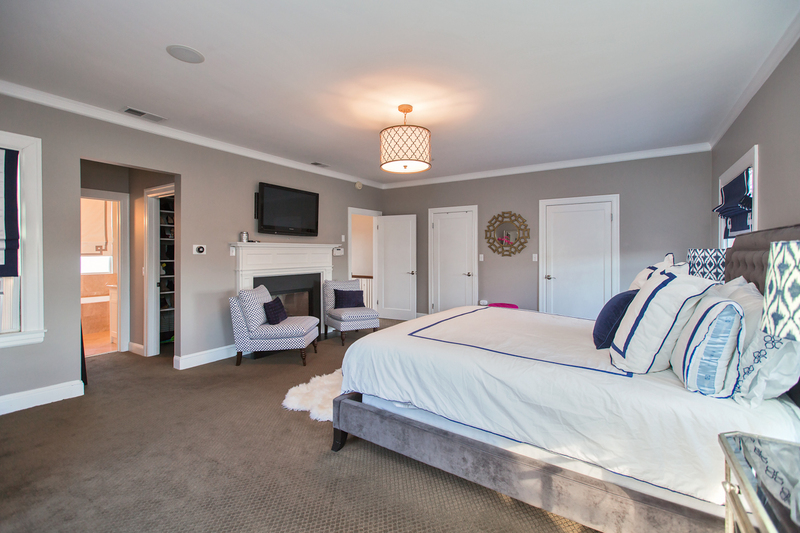 A private and very spacious master suite on the top level includes gas fireplace, multiple walk-in closets and eastern views of the City. 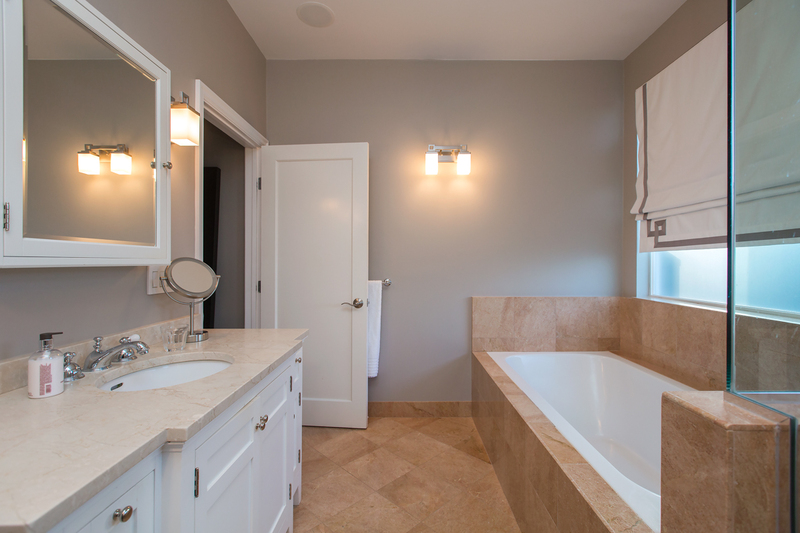 Stone master bath features separate shower & tub with west-facing windows. 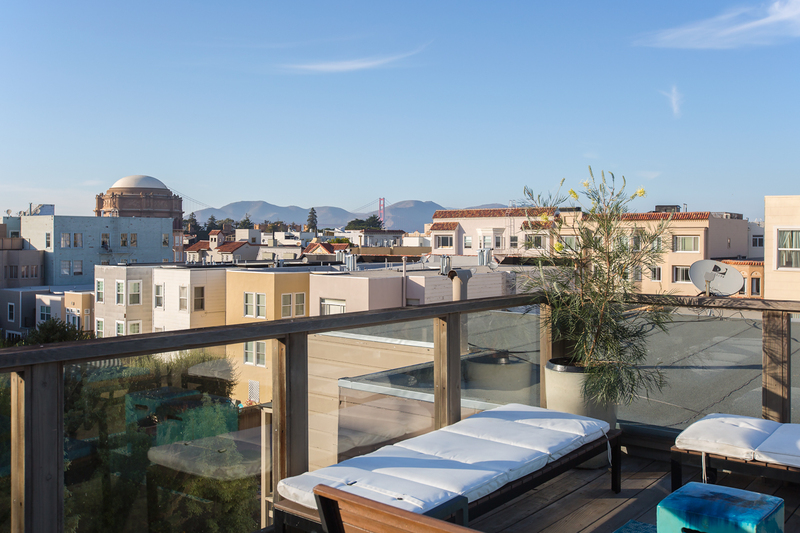 On the same top level of the residence and accessed via a foyer is the much coveted, large deeded roof deck with western outlooks of the top of Palace of Fine Arts and Golden Gate Bridge. 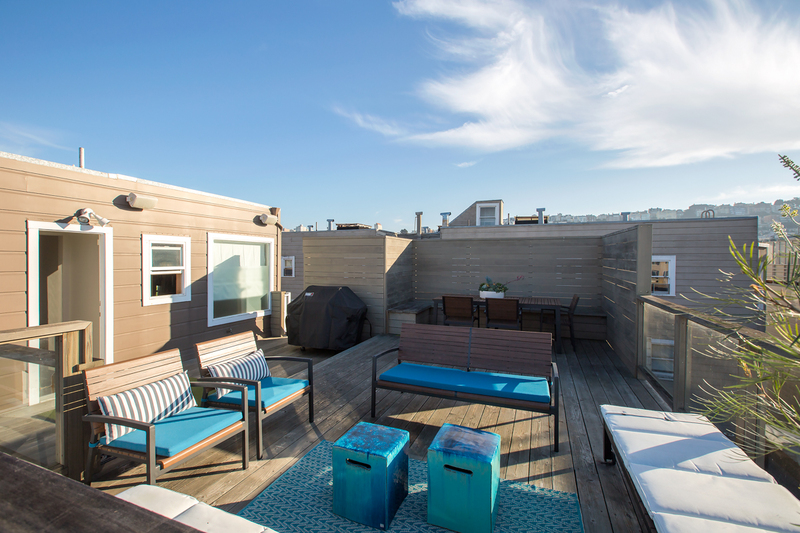 The deck offers plenty of space for dining table & chairs, multiple seating & planting areas, BBQ grill and cushion/umbrella storage. 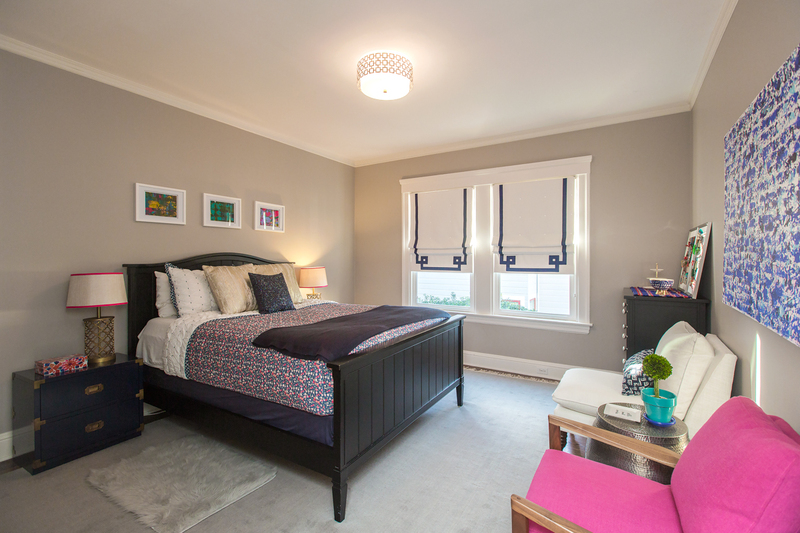 In addition: The main rooms (living room, kitchen, master suite & deck) are wired & equipped for Sonos. 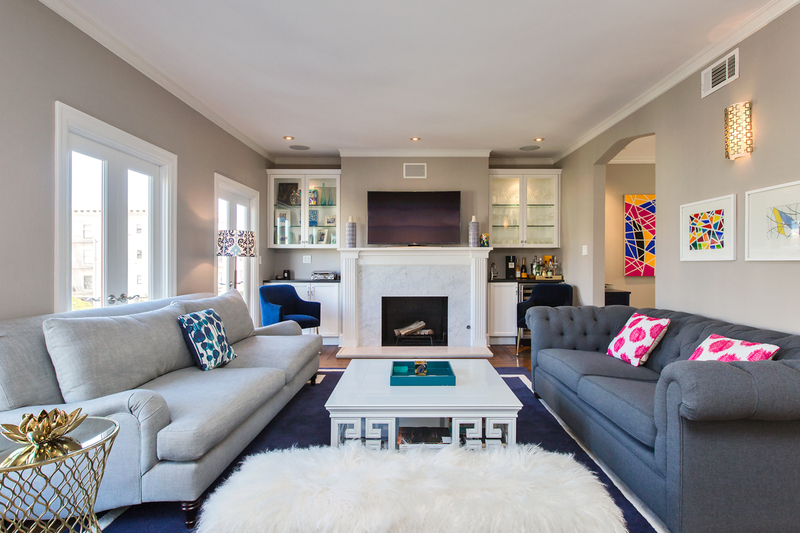 Surround sound wiring is installed in the living room (receiver not included). 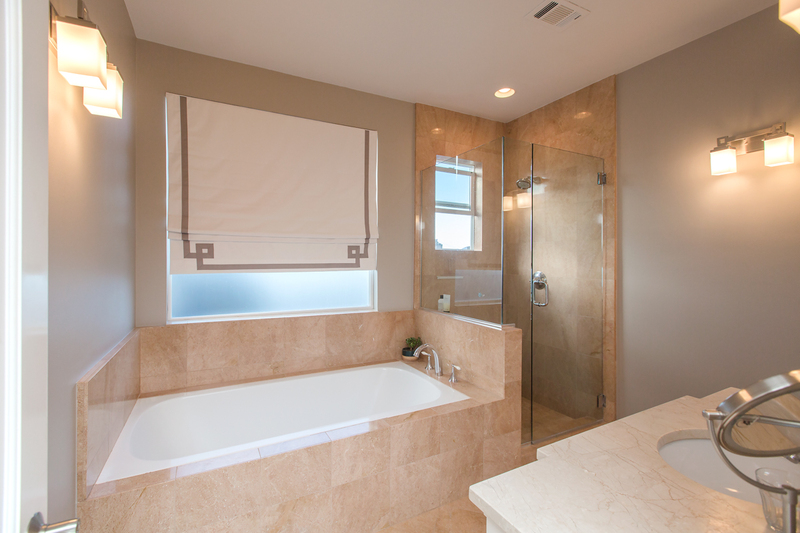 Installed flat screen TVs in kitchen, master bedroom & master bath are included in the sale if desired. 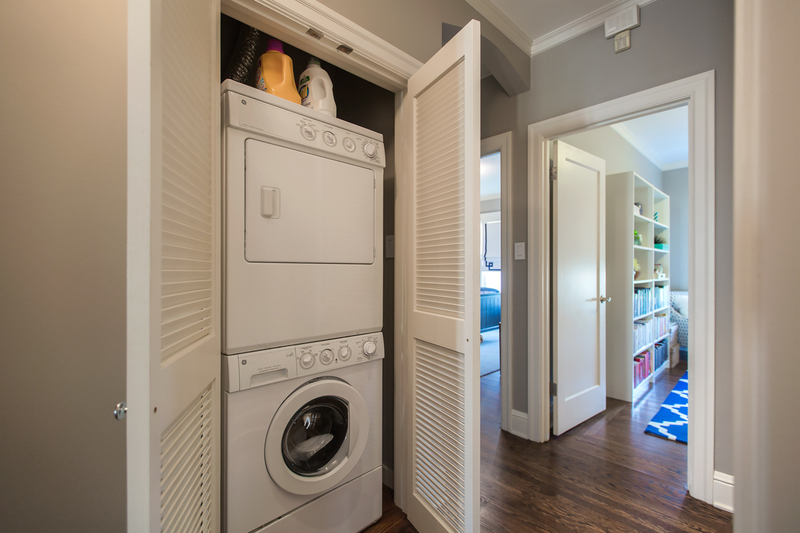 The deeded storage room is found directly adjacent to the 2-car tandem parking in the garage. 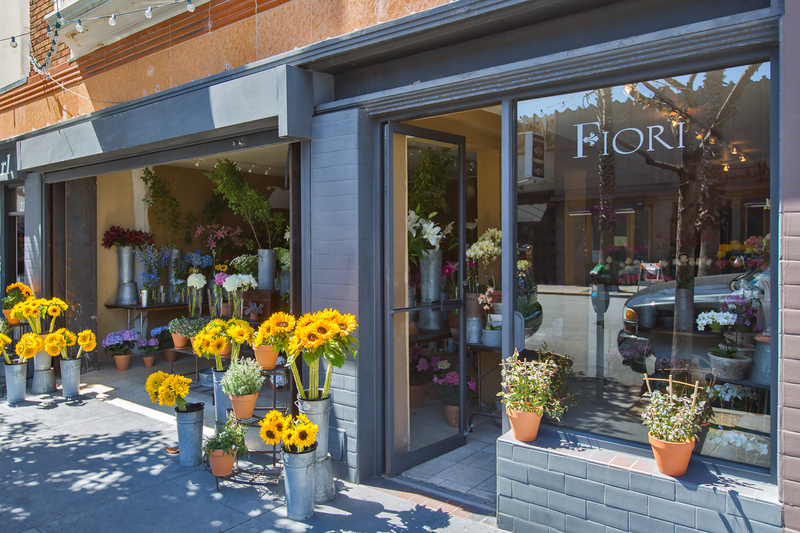 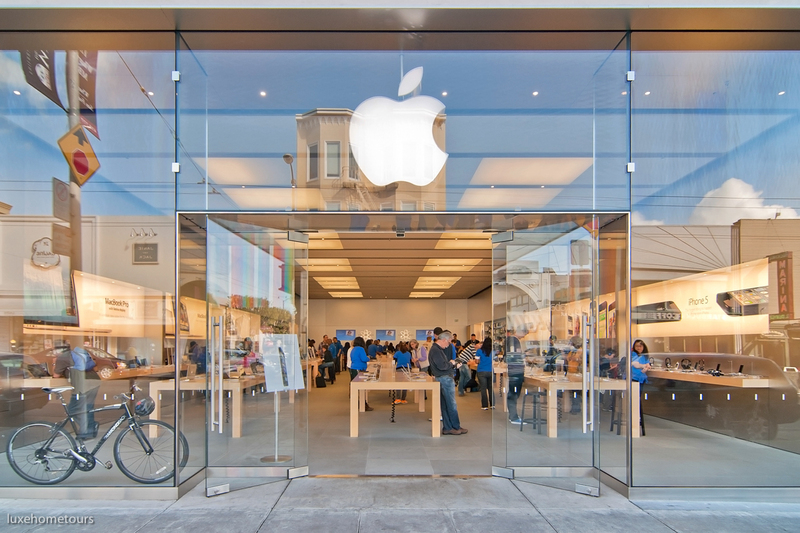 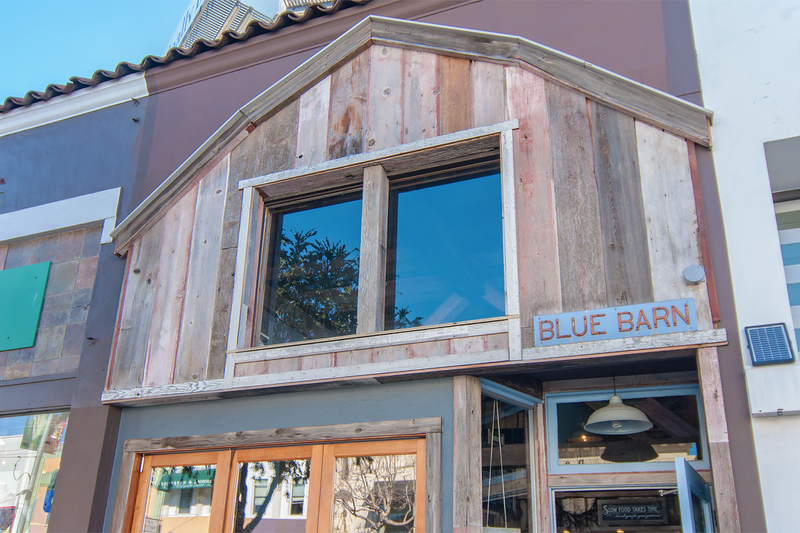 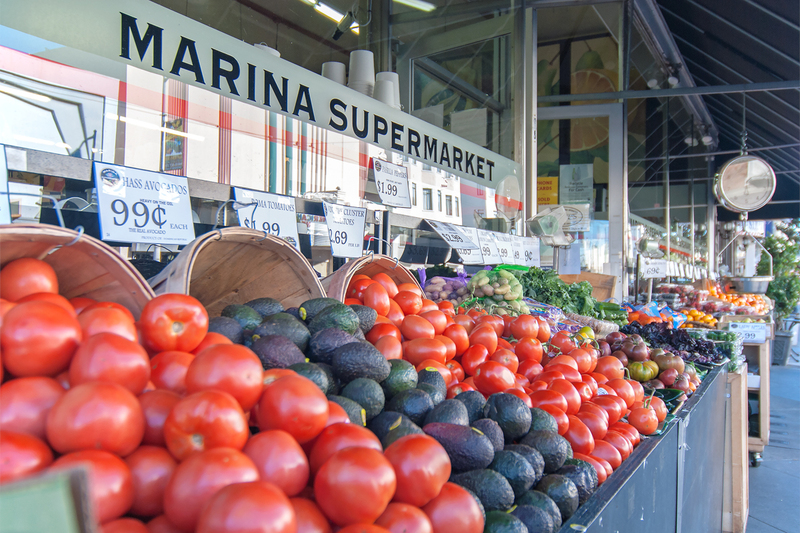 The vibrant Marina District enjoys both nature’s beauty and the thriving neighborhood street of Chestnut, which along with nearby Fillmore and Union Streets, offers chic shopping and restaurants. 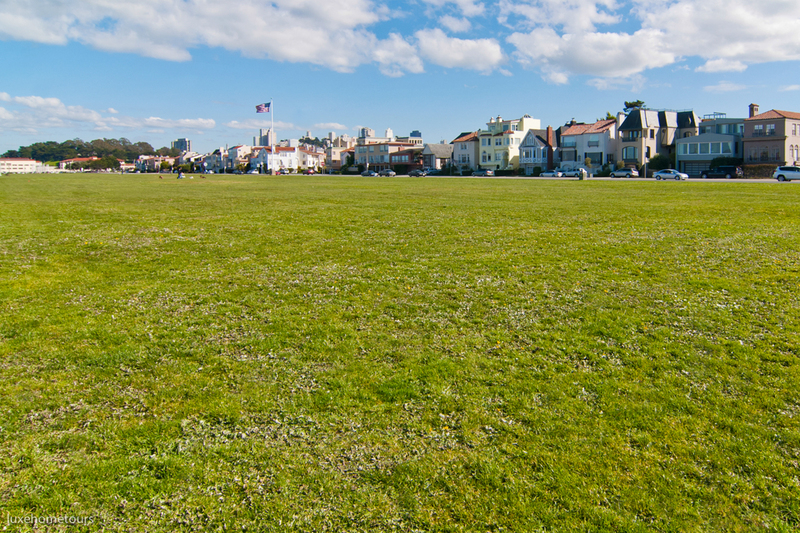 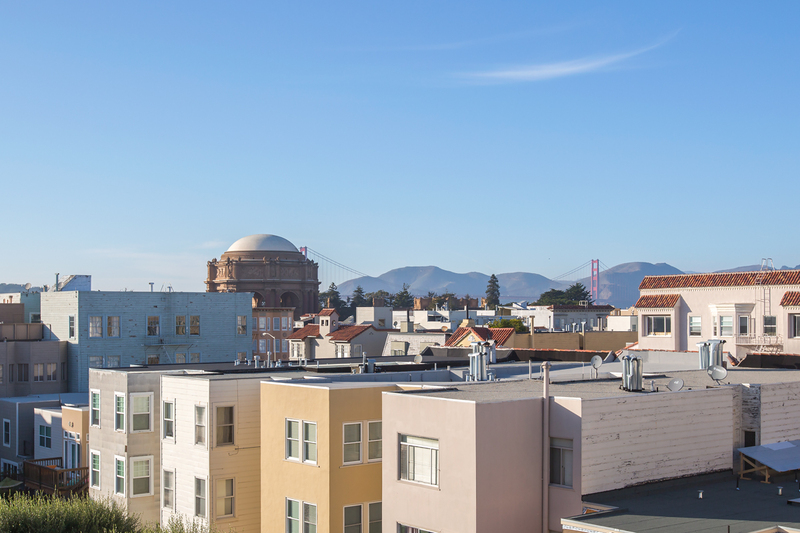 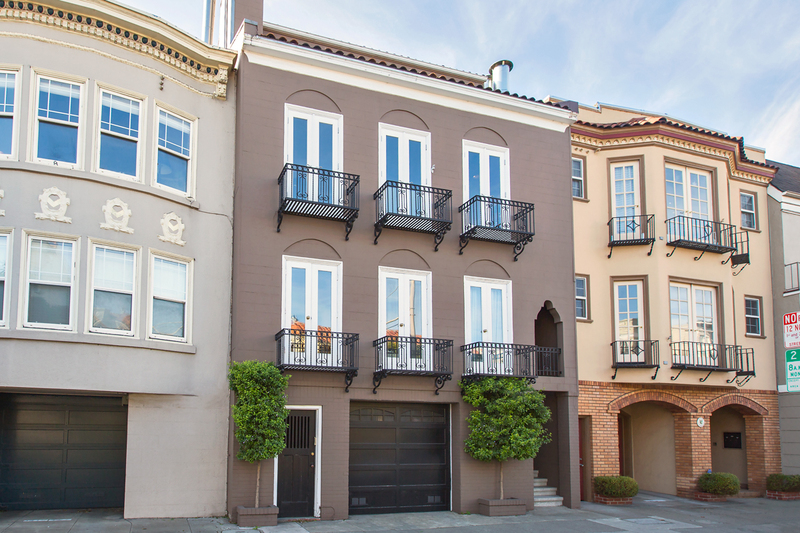 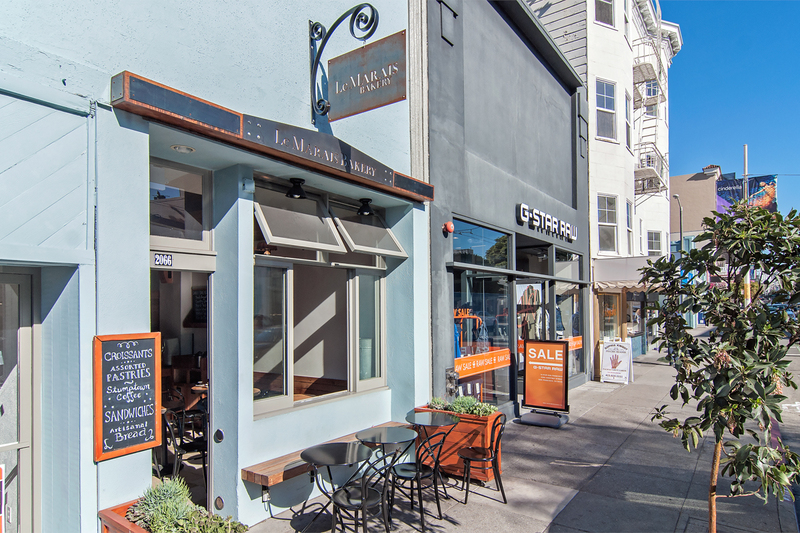 3425 Divisadero is just a few blocks to the Marina Green and provides easy access to Crissy Field, Saint Francis Yacht Club and Palace of Fine Arts. 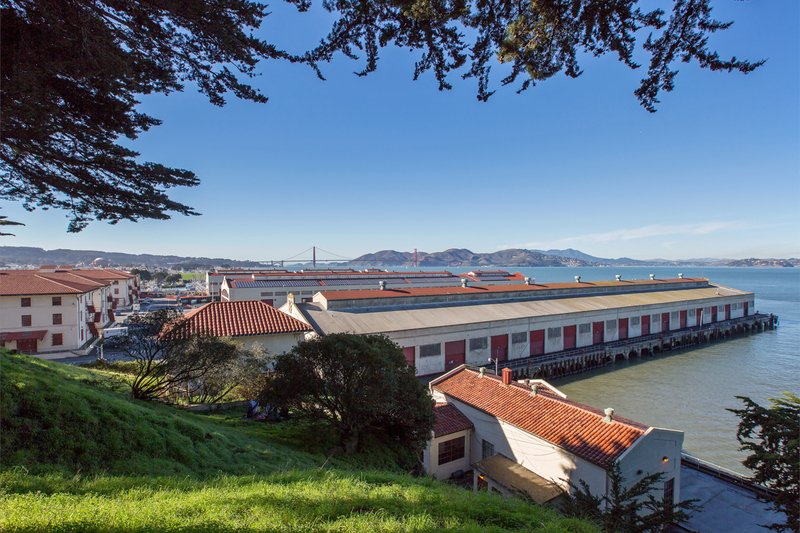 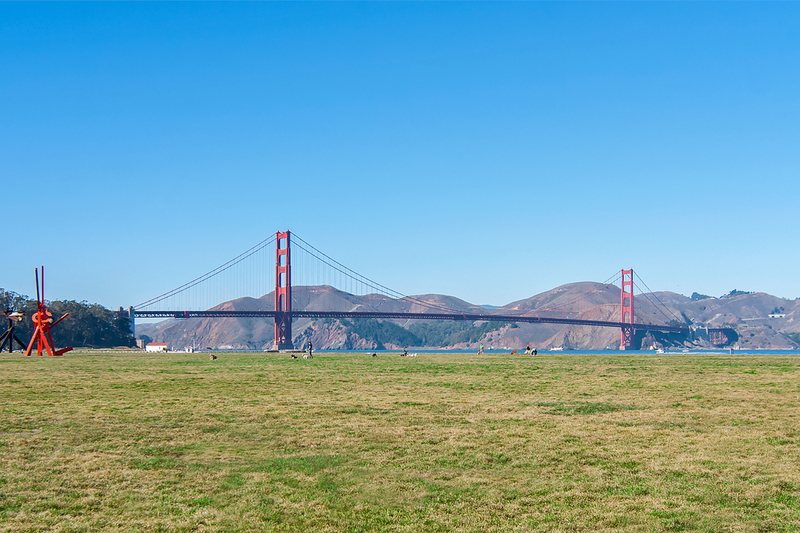 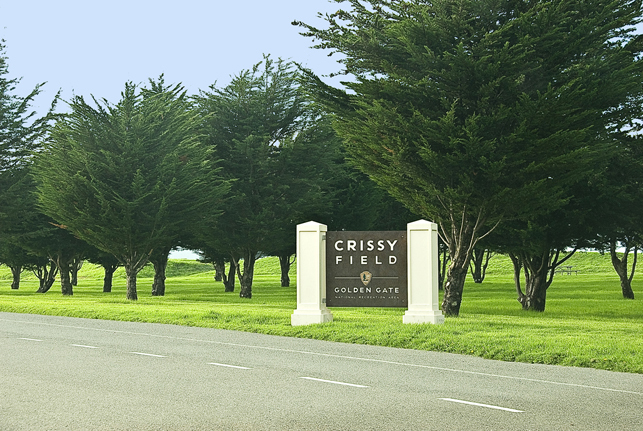 The Presidio National Recreation Area, with its sport facilities and trails, is enjoyed by many. 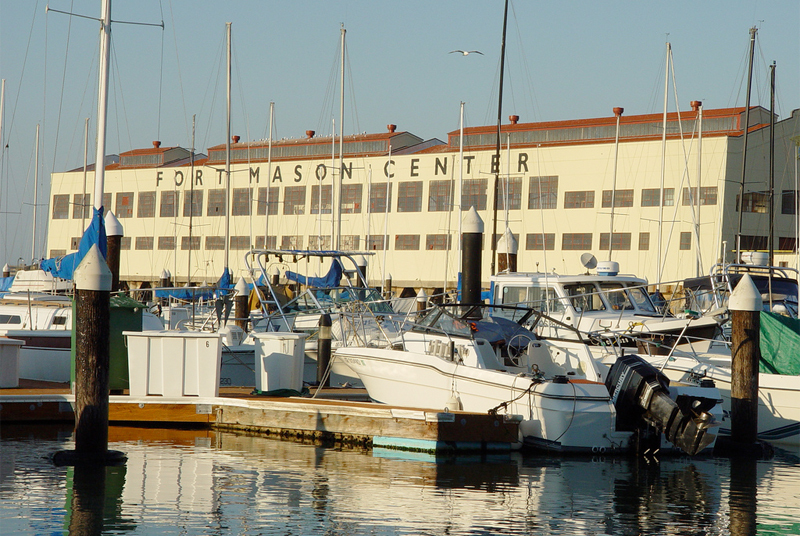 Fort Mason Center’s Sunday Farmer’s Market, art galleries and special events venues are major plusses for the neighborhood. 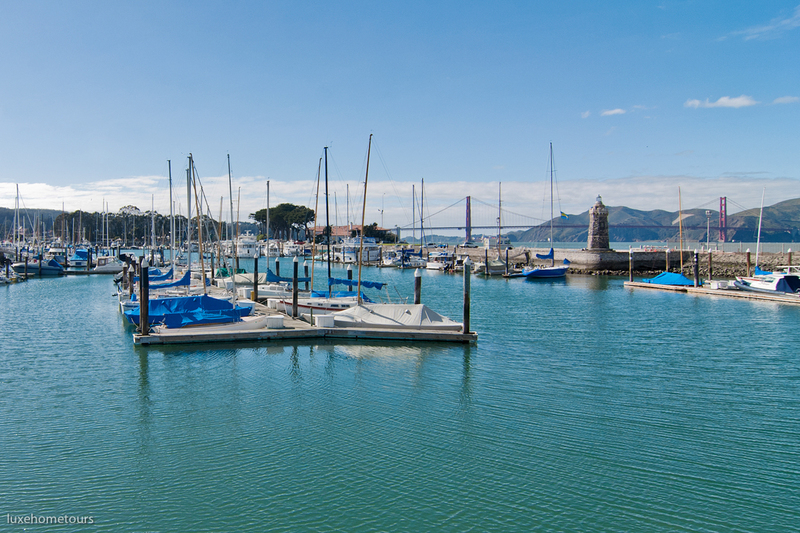 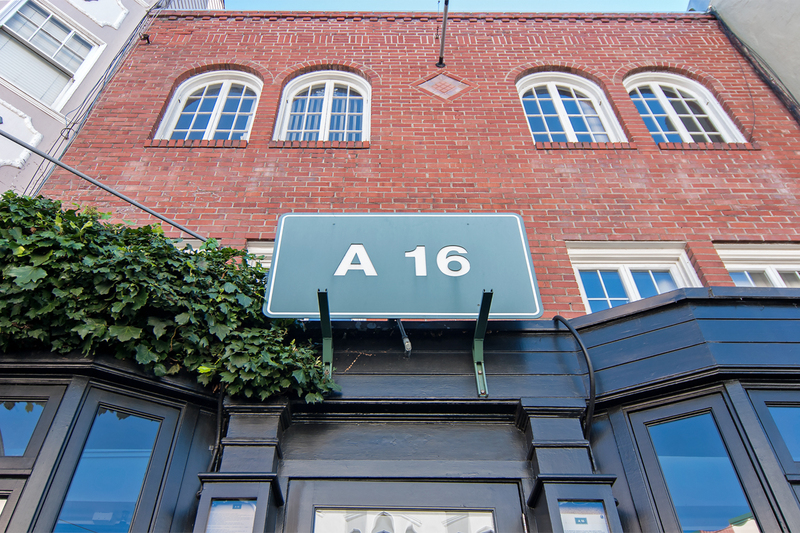 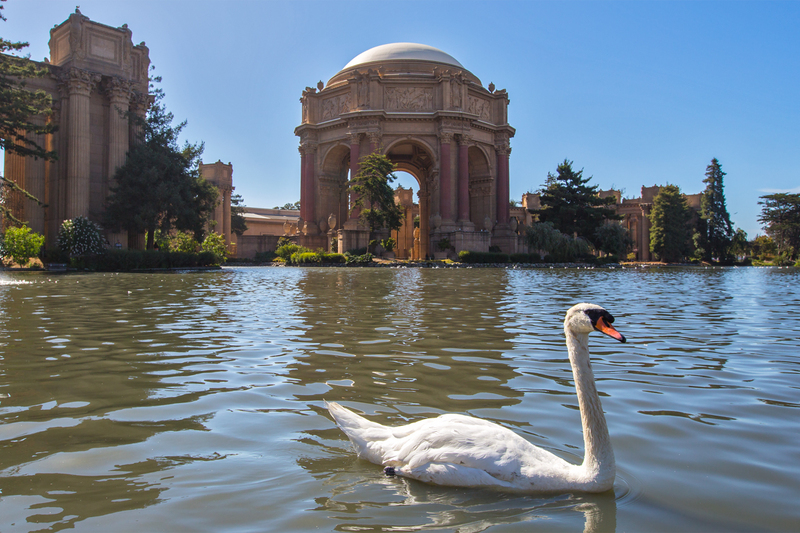 This vibrant area is known for its walkability and unsurpassed beauty along the Bay.